As 16th Conference of the Parties of the Convention of International Trade in Endangered Species (CITES COP16, pronounced sight-eze) comes to a close, I’d like to reflect on something that made this meeting unlike almost any other wildlife conservation and management meeting in history. Yes, history was made as delegates voted to list commercially exploited shark species for the first time, and history was made when manta rays became the first shark or ray species to be listed under CITES the first time they were proposed, and that’s all fantastic news. However, what I believe made CITES COP16 a game-changer for wildlife conservation and management was the large-scale inclusion of online outreach by both attendees and organizers. For the first time ever, interested members of the public from all over the world could follow along (and to some degree, participate) in real time. At the 2nd International Marine Conservation Congress, Dr. Nick Dulvy and the IUCN Shark Specialist Group organized a special symposium called “Securing the Conservation of Sharks and Rays”. This symposium featured leading scientists, international policy experts, the founder of a creative non-profit, a National Geographic conservation photographer… and me. It was, without a doubt, the greatest professional honor of my (admittedly brief so far) career. All eyes on Halifax: Will fishery managers follow scientific recommendations to protect the thorny skate? Later today, the annual meeting of the Northwest Atlantic Fisheries Organization (NAFO) begins in Halifax, Nova Scotia. The marine conservation world should pay close attention. NAFO made history in 2004 by becoming the first regional fisheries management organization to set a shared quota for a shark, skate, or ray fishery, but the future of that legacy is in question. The Largetooth Sawfish (Pristis perotteti) is about to become the second elasmobranch protected by the Endangered Species Act, a welcome step in the conservation of these animals. In addition to the slow growth, low number of offspring, and relatively late maturity which characterizes most elasmobranchs, another biological feature contributes to sawfish being “among the most endangered fishes in the world,” according to Shark Advocates International President Sonja Fordham. It’s hard to imagine a biological structure that can get more thoroughly entangled in fishing nets than the “saw” on their rostrum, and bycatch is one of the leading causes of population decline in this group of animals. Additionally, the saw used to be a part of the souvenir trade. Last week, the Indian Ocean Tuna Commission held their annual meeting in Sri Lanka. As one of the few international fisheries policy organizations in the region, the IOTC is also responsible for management of billfish and sharks. Several new shark conservation policies were proposed this year. These included species-specific protections for hammerhead and oceanic whitetip sharks, closing loopholes in existing policies that ban finning sharks and discarding the bodies at sea, and requiring fishermen to collect and report more types of data on their shark bycatch. All of these proposals were rejected. 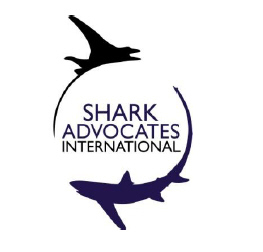 Shark expert Sonja Fordham, President of the new conservation organization Shark Advocates International, will be speaking at a “Shark Salon” in San Francisco on Tuesday. At the Salon, Sonja will answer people’s questions about sharks and tell entertaining stories from her life as a conservationist and scientist. She is asking for a $25 donation to help raise money for Shark Advocates International, but anyone is welcome to come. Please click here to learn more about the event and to RSVP.